Claudia Bradby Jewellery launched in 1999 and is known as an exceptional British jewellery brand renowned for timeless and elegant pieces of silver and pearl jewellery. Fourteen years on, Claudia is as passionate as ever and still personally designs each collection and travels the world to source the "finest pieces". 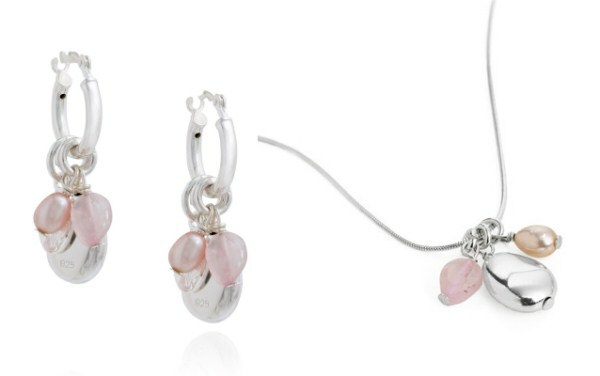 As many of you already know, when Kate was working as an accessories buyer for Junior Jigsaw, Claudia's designs caught her eye and she approached the jewellery designer which led to a collaboration resulting in the design of beautiful pieces including the £49.50 Kate Hoop Earrings; featuring silver and rose quartz charms from the £57 Kate Quartz Necklace, both of these items look particularly striking worn together. Kate wearing a piece she designed with Claudia, the ever popular Camellia Necklace. I was delighted to have the opportunity to review two pieces from the New Modern British Pearls Collection. The £40.50 Alexander Silver Earrings are a gorgeous pair of cool-toned earrings and look great with blues, greys and neutral colours. They feel incredibly light to wear, my sister tried them on and fell in love with them. I think they're an excellent way to incorporate pearls into your wardrobe especially if you're quite young and building your collection. The Alexandra are also available in White Pearls. The £93 Ines Necklace is a stellar piece. 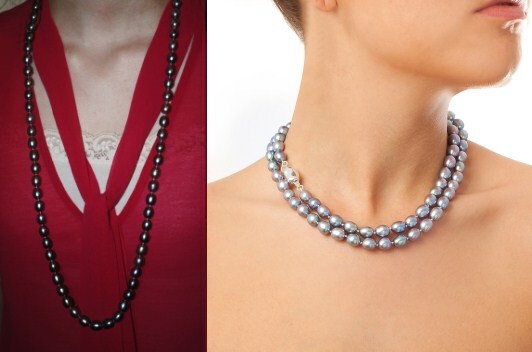 The molten silver pearl necklace reworks the classic pearl look with elegant style. It is available in two lengths 63 cm and 87 cm. I do love silver pearls and what they add to an outfit. I've worn them with pinks, blush tones and black. The collection is all about classic pearls and simple designs which are perfect for the bridal party or for achieving iconic looks. Some of my favourites are the £33 Peregrina Pearl Charm, the £73.50 Peregrina Pearl Pendant, the £64.50 Sophia Bracelet and the £108 44cm Sophia Pearl Necklace. The Deco Collection embraces the new-found freedom and glamour of the roaring twenties. Gorgeous longer-length necklaces and tasselled earrings tie in beautifully with the Art Deco fashion influences of Spring/Summer 2013. 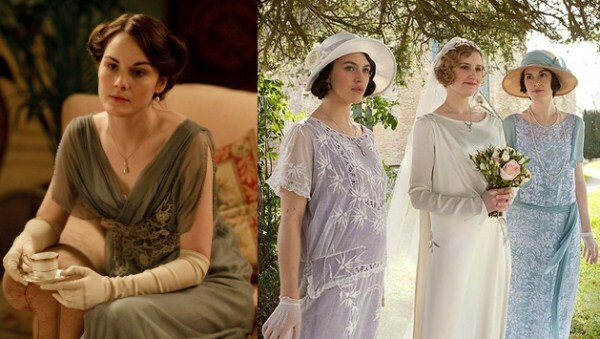 I know a huge number of you adore Downton Abbey as much as I do and this collection recreates that era whilst offering a modern twist. I very much love the idea of jewellery that add a classic and sophisticated edge to a daytime look and complete an evening look. It's rare to find jewellery that can fulfil this brief but I believe the Deco collection does. We look at four pieces I think would look divine on the Crawley sisters: the Gatsby Rope Pearl Necklace, Charleston Earrings, Charleston Necklace and the Lucia Earrings. Other notable pieces from the collection include the very pretty £49.50 Antigua Earrings, the Sadie Hoop Earrings and the glamorous £72 Charleston Bracelet. Kate looked simply lovely in an Alice Temperley dress for the Diamond Jubilee Tea Party in Malaysia in September. The Duchess wore her hair in an elaborate bun with pearl pins at the back. If you wish to Repli-Kate this look Claudia sells a set of three for £8 and a Pearl Kirby Grip for £8. The Pret a Porter collection features a series of everyday wear pieces. 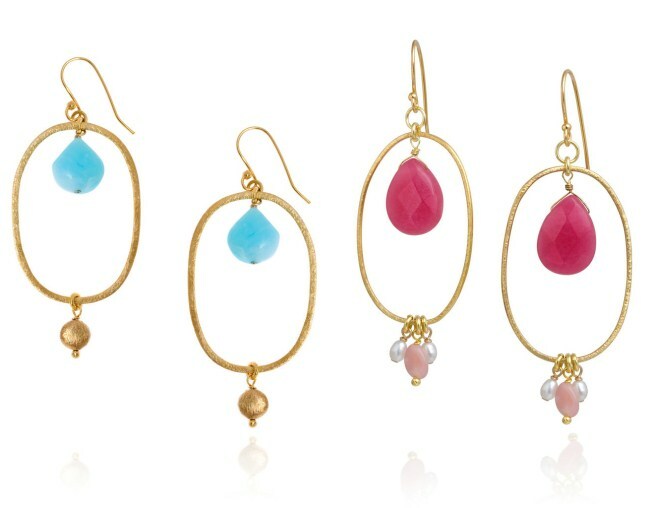 The earrings are incredible value; the Everyday Drop Earrings on Gold and pink are just £24. The Manhattan Earrings are just £21 and the Lucy Earrings are £45. Next, we share a selection of stunning Claudia Bradby necklaces. The Vintage Locket (currently reduced from £120 to £80) the £66 Cotton Candy Necklace, the £227 Biography Necklace and the £54 Sophie Kinsella Dragonfly Necklace (Claudia designed it with author Sophie Kinsella to tie in with her novel Twenties Girl). A striking bracelet is a wonderful addition to ones collection. 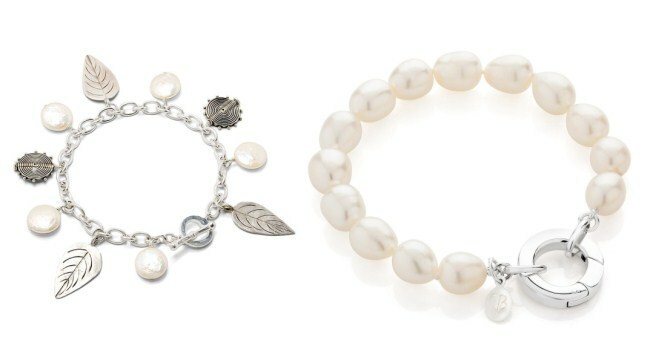 Below we look at the £49.50 (reduced from £99) Willow Bracelet and the beautiful £138 Biography Bracelet. I've had the Biography Bracelet for some time and it really is a quality piece and so wearable. It transforms any outfit, looking equally stylish with a silk blouse and skinny jeans or a little black dress. Finally, for those of you who like some colour in your jewellery take a look at the Cerulean Hoop Earrings and the Raspberry Hoop Earrings. Both available for £59. The raspberry is most eye-catching due to the combination of pink, opal and gold. The earrings are 16 mm in length and hang from gold plated French hook. To avail of the discount code simply enter DUCHESS15 at the checkout! The code is valid until March 10th. To view all of Claudia's jewellery, the website is here. You can also visit Claudia Bradby's Twitter Page. Check out the colourful Pinterest Board here. For information on looking after your pearls, please visit Pearls of Wisdom. Claudia's Blog is a most enjoyable read. Below we see her with husband Tom Brady at The Evening Standard Film Awards 2013. Tom wrote the novel and screenplay for the wonderful Shadow Dancer starring Andrea Riseborough. As you can see Claudia is looking fabulous in the aforementioned Charleston jewellery. With my sincerest thanks to Claudia and Sarah for this generous offer and for being so amazing to work with! I ordered three items for Christmas using the Black discount code and will be using this one also! Thank you for sharing this! The jewellery is amazing sooooooo many to die for pieces!!! They're all lovely. thanks for sharing! Great post. Thanks so much for sharing this Charlotte! Beautiful post and gorgeous jewelry! So many beautiful pieces.... thanks for the discount, using it now for the Kate necklace and the silver Alexandra earrings! :) I can't wait for them to arrive. I have fallen in love with Claudia's jewellery thanks to you, Charlotte! My husband gifted me the beautiful Paloma necklace for Christmas, and I absolutely love it! I see at least 12 items that I'll be adding to my wish list this year! Thanks so much for the beautiful post! Your husband has excellent taste Meghan. The Paloma is *beautiful*. The combination of the diamond cut labradorite stones and pearls looks magnificent. I want to second what you said Megan and thank Charlotte for introducing me to Claudia Bradby jewellery. I ordered the alexandra earrings first then ordered two pieces in the sale last month and plan to use the code this week. My collection is starting to build very nicely. I love seeing a classy site like this working with a classy jewellery brand and thanks for suggesting colours that work well with various pieces Charlotte. I'll be in London this April (so excited!) Is there any store her jewelry can be purchased in or is it only available online? Sarah from Claudia Bradby just let me know John Lewis stocks a diffusion range in London on Oxford St and Stratford as well as Peter Jones in Sloane Square! Woo hoo! Thanks for researching and finding this out. Sloane Square - here I come! A sunny hello to your family from CA. Lovely jewelry. I miss Kate's jewelry from her single days. I guess she was younger too. But I think she has tried to present herself in a more serious and somber way toning down her accessories and I miss the old stuff. That blue Temperley lace gown was one of my favorites on that tour. The pearl bobby pins were a gorgeous addition to the outfit. I love lace and love her hair up. Hi Charlotte, Just saw pictures purported to be Kate out with Luop. Always welcome a chance to see the little pooch but will be glad when she does more official engagments so less emphasis on her every move. This is intricately designed incredible jewellery collection, I would like to say wow, the best collection i have ever seen in my life.